Roza Sweet Pickled Mustard Vegetables with Chilli. Ingredients : Pickled Mustards. 63 %. Seasoning Sauce. Ready to Eat. Information for food allergy : mixture of soy. Ready to eat. or will eat with rice. 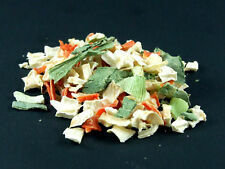 Dehydrated vegetables maintain their high nutritive value with less nutrients lost. Special Mix Dried vegetables"VEGETABLE"- 100% Natural Organic Spices. of dried vegetable soup mix. dried paskanate. dried celery. Chipotle Chile, Morita is a red ripe jalapeno that is dried by slow smoking it. Chipotle Chile, Morita 4 oz. Koresukea Contents: 3g �~ 30 bags Product Size (width �~ depth �~ height): 150mm �~ 70mm �~ 121mm �œ [Product Description] �œ "Koresukea chitosan green juice 3g �~ 30 bags" is, reduce the absorption of cholesterol, lower serum cholesterol It was mixed with chitosan with serve to. �œ it helps to improve the eating habits of those who cholesterol is a concern. �œ food for specified health use (Tokuho). �œ [recommended dose per day] �œ please enjoy a day 3 bag of (9g) as a guide. Sundried tomatoes. Originally they were developed by inventive Italians as a way to preserve tomatoes for use in the winter. 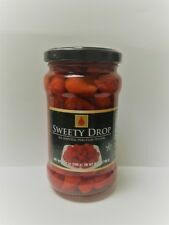 Particularly sun-dried tomatoes are recorded for their sufficient lycopene and antioxidant content, they are also rich in certain key minerals such as calcium (needed for strong teeth and bones), iron (an important part of hemoglobin) and organic acids. Dried Whole Morel Mushrooms 25g by Hatton Hill. Wild collected in Turkey. Trending at C $45.21eBay determines this price through a machine-learned model of the product's sale prices within the last 90 days. The way we keep Kalamos olives up to their consumption is the traditional recipe from our grandparents. This is feasible as a collection is scrutinized. This process is what make our olives stand out, preserve the genuine aroma but also the intense taste of Kalamos olive. 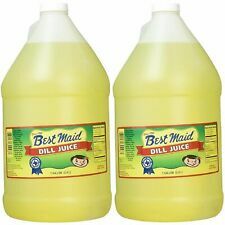 2 Full Gallons of Genuine Dill Juice: It's hard to find pure pickle juice in such a sizable quantity. Stays fresh; lasts longer. Ideal for cooking, seasoning, cocktails & a host of other tasty uses. Spinach Powder. Our bulk herbs, spices and nutraceutical products are free from chemicals and pesticides and are never irradiated or fumigated. In addition, our products are dried using low heat under 120 degree Our products do not contain maltodextrin or added ingredients such as sugars or fillers. Healthy natural grass juice. Africa 3-8 Weeks. Middle East, AU, NZ 2-6Weeks. Roza Hot Sour Pickled Mustard Vegetables Food. Ingredients : Pickled Mustards. 63 %. Seasoning Sauce. Information for food allergy :mixture of soy. Ready to Eat. or will eat with rice. Iodized salt.0.5 %. 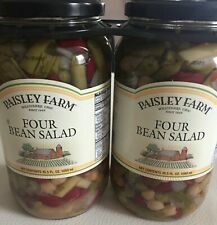 Beans are harvested in their natural state. This 14 oz bag of gandules are perfect for Arroz Con Gandules. On your plate they would count as vegetables and protein (ChooseMyPlate.gov). Goya Pigeon Peas - Gandules are harvested with care and need to be soaked to replenish their natural flavor. [Nutritional facts (1 bag (3g) per energy 11.22kcal protein 0.34g lipid 0.09g carbohydrate 2.27g sodium 4.65mg. Your country is very far from Japan and it takes long till the item reaches you. [Case enter the number: 30]. )]. In its diluted, regular strength form, this product has been laboratory tested & proven to safely and effectively remove dirt, pesticides, mold, bacteria, viruses, waxes, fungi, herbicides & other undesirables from the nutrient dense skin of fruits & vegetables - significantly better than rinsing alone. This is a new, unopened, double sealed 17 Fl Oz (503 mL) bottle of VegWASH fruit & vegetable wash concentrate; made from cleaners which are derived by saponifying the finest pure certified organic coconut and olive oils; s ubtly scented with pure certified organic lemon and tea tree oils. Even if you think to yourself, "But the item I want is only available in Japan.". SAL 2 - 3 weeks 2 - 3 weeks 2 - 3 weeks 2 - 3 weeks. A must for the perfect martini or just as good nibbled on their own. No need to add vermouth to your martini! 1/4 LB - Organic - Grade A Quality. - Grown in Florida, USA. Trending at C $30.72eBay determines this price through a machine-learned model of the product's sale prices within the last 90 days. Dried Black Fungus Mushrooms. 100% Dried Black Fungus Mushrooms. Also known as: Judas Ear Mushroom, Wood Ear Mushroom. Once soaked in hot water for about 30 minutes each 10gram of dried mushroom should yield around 30-40 grams of rehydrated product. Vegetable BIO dry mix for the production of vegetable patties. Preparation for 5-6 patties (2-3 persons) 200-250 ml of hot water and allow to swell for approx. 15-20 minutes. From the mass form patties and fry in hot oil until golden brown. Ingredients : Grean soybean, vegetable oil, salt. Our Products are 100% Authentic. Linstead Market Jamaica Callaloo also makes delightful Pepper pot Soup, which is a favourite Caribbean Dish. For the vegetarian, our Callaloo also makes a delicious drink! The Callaloo plant is a leafy green vegetable very similar to Spinach. Aji Panca Chiles 4 oz. Ancho Chile, Whole 4 oz. This phytonutrient mimics the action of insulin and lowers blood sugar level in diabetic patients. It may not be so good in taste, but it is a magical juice for our health. we 100% garant you that,this product will be fresh and natural. Hawos Toni, Clay sprouting pot. The fired clay from which the pots are made can absorb up to 10% of its own weight in water which it then passes on to the germinating seeds. hawos Toni. hawos clay sprouting pot. Ghost Chile also known as Bhut Jolokia. World's 2nd Hottest Chile. Guajillo Chile, Whole 4 oz. bag "One of the Mole Chiles"